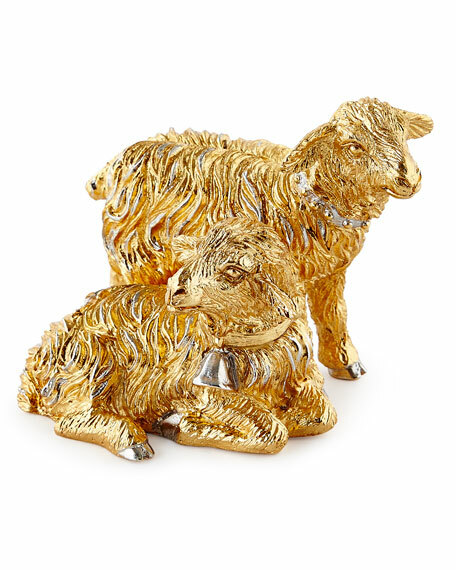 Handcrafted beautifully designed gilded sheep figurine for our Gilded Nativity Collection. Hand-polished 18-karat gold-plate with rhodium-tone accents. 4"W x 2.8"D x 3"T.
For in-store inquiries, use sku #2227852.